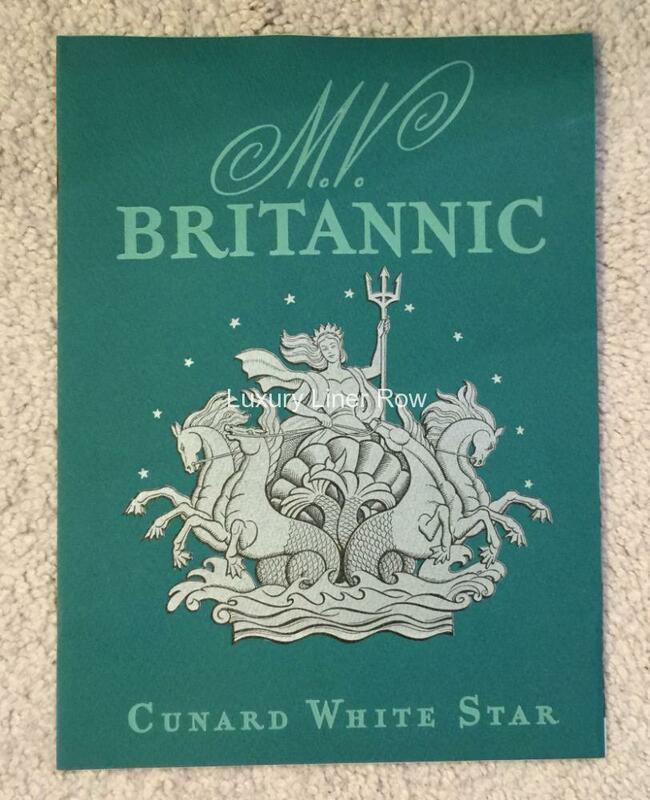 The best advertising piece Cunard White Star ever did for the Britannic. 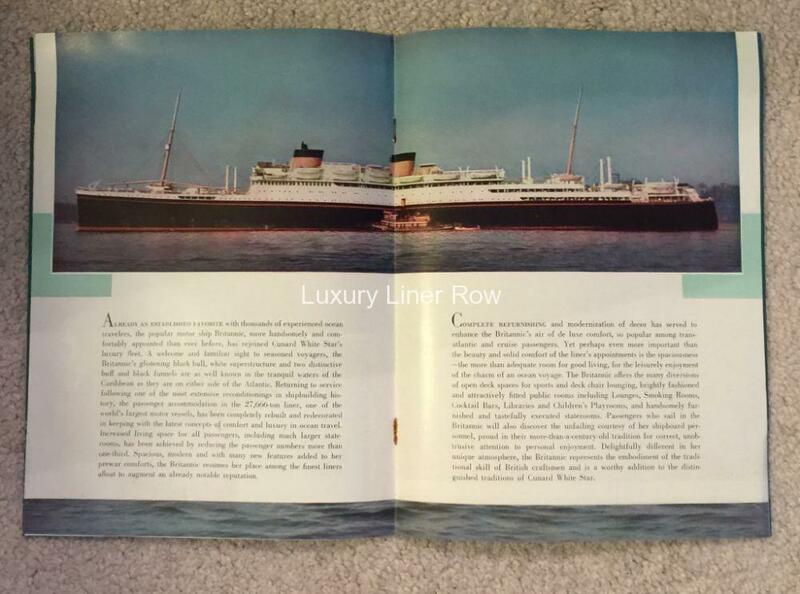 It is good to see the White Star liner that lasted longest with Cunard was not treated as a red-headed step child within the company after the war. 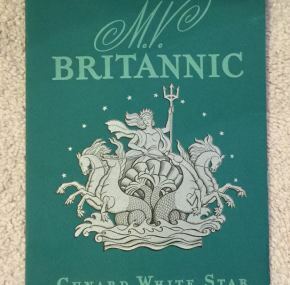 CWS spent a fortune on Britannic’s post-war restoration with special emphasis placed on bringing her up to fleetwide standards. IE they “Queen Elizabethed” her. The company spent £2,200,000 reconditioning her, which was almost half as much as it cost to build the QM the decade before. In fact, they spent more to recondition Britannic after the war than any other ship aside from the Queen Mary. (This info comes from a Cunard memo dated August, 1953.) 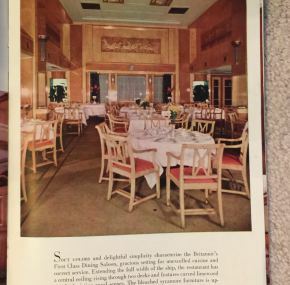 This largely resulted in a very British liner Deco look on board. 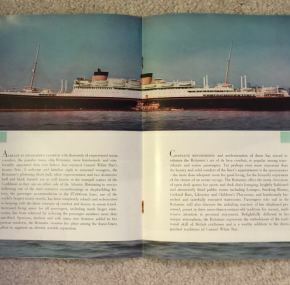 The brochure dates to 1949 and runs 16 pages, sporting 15 full-color photos of both first and tourist class. 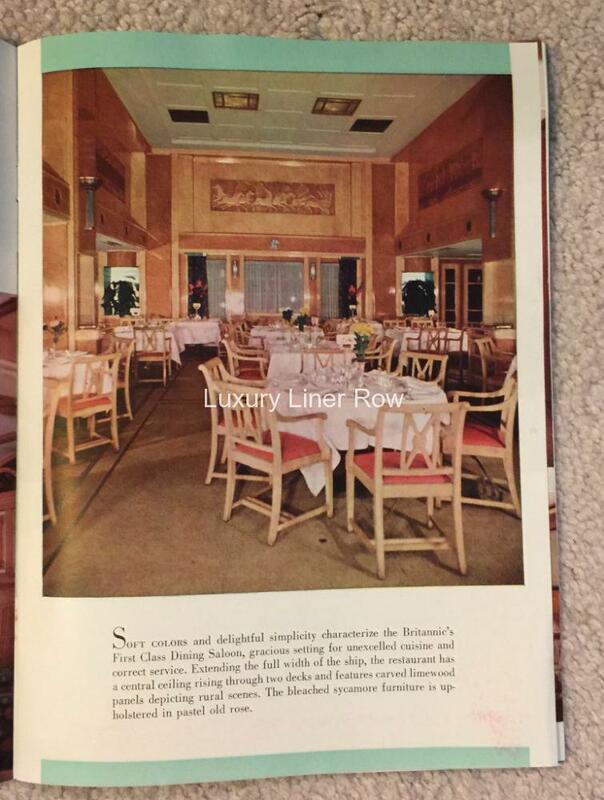 There is much White Star silver evident in the photo of the tourist-class dining room. It also seems tourist is where they moved much of the pre-war furniture. Brochure is in mint condition — as if it just came off the travel-agency shelf. I have never seen a better condition example.